A smart office design doesn’t just mean one that is tech savvy. It also describes an office that is built around how the people will use it on a day to day basis. Its design supports many different ways of working, significantly contributing to an increase in staff productivity. It attracts new prospective employees and helps to keep a low rate of staff turnover. Smart office design also has many practical benefits and helps to reduce the cost of your building, making your company more sustainable. As a shared working space, it helps to optimise your company’s resources through the help of technology. The following are our suggestions where you can update or change your office layout to bring elements of smart design to your company. Creating spaces where employees can mingle, relax and collaborate in your office is very important. Revamping your office canteen design can help to create a more pleasant atmosphere within your company and increase both staff morale and productivity. 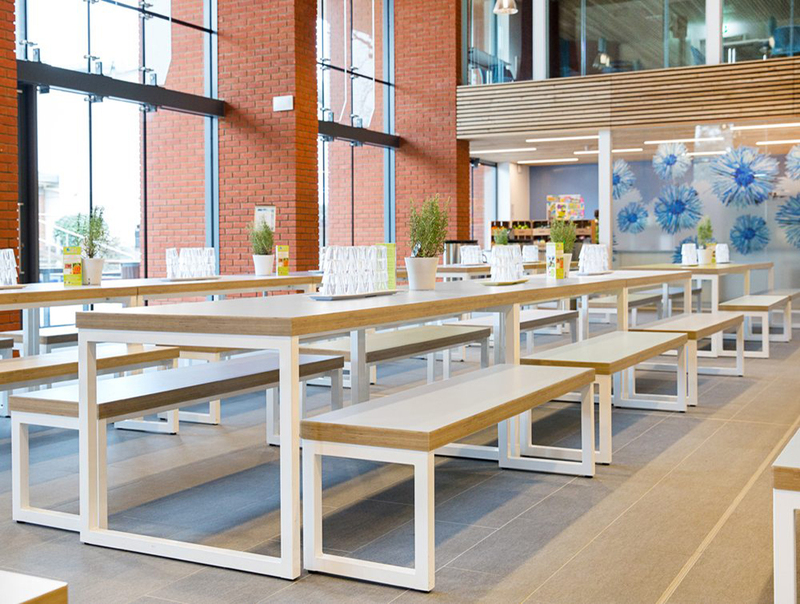 By simply switching out smaller tables in your canteen with larger benches and tables you can create an atmosphere where co-worker are encouraged to interact, as groups or individuals. 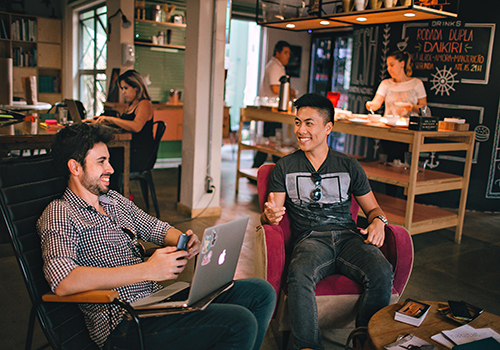 Creating a break room space that allows a wider group of employees to interact regularly reinforces positive energy and helps to boost your company’s competitive edge. 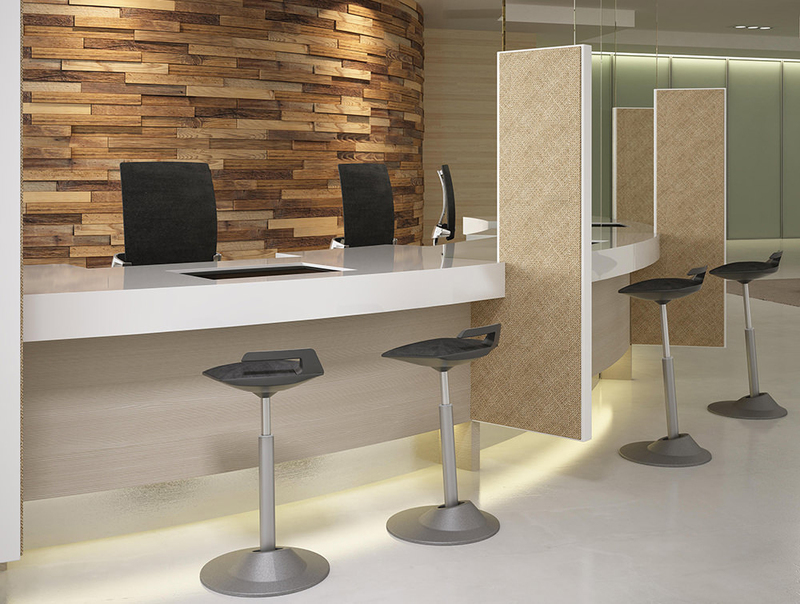 Pop up meetings in breakout areas, canteens or meeting pods are essential for any smartly designed office. This is only possible with the help of stronger, faster wifi and an increased number of power outlets. 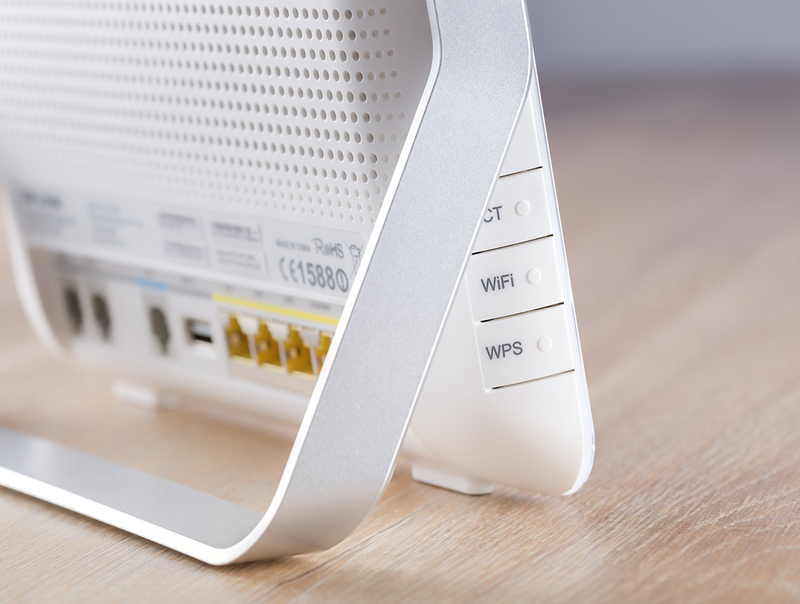 Many top companies have updated their wifi systems to ensure that no matter where you work from within the building, the level of wifi service you receive is strong and efficient. There is nothing more frustrating than having a slow wifi connection or no connection at all due to being out of range from the wifi hotspot. Replacing computers with laptops that only require a single USB-C cable can speed up meetings or portable working situations, as employees can simply grab their work and go wherever they are required. Increasing the number of power outlets in your building also helps with creating a more dynamic work environment. One that is not as dependant on the traditional desk or cubicle set up. At the same time, you can consider having wireless charging bases for mobile phones located in key areas of the building such as canteen, coffee and breakout areas. 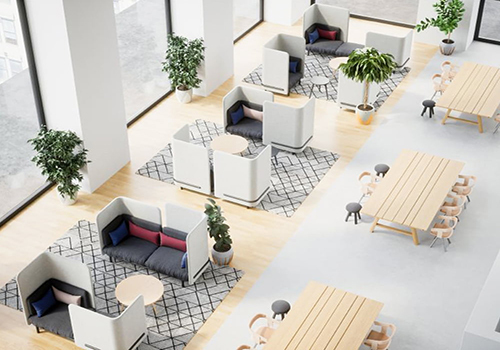 Offering a variety of workspace options like adjustable sit-stand desks, high seating, phone booths, break out areas or quiet zones on top of traditional desk setups allows employees to work in any location that can aid in the completion of their tasks. It also ensures they don’t feel chained to a desk, which may be counterproductive to their work. 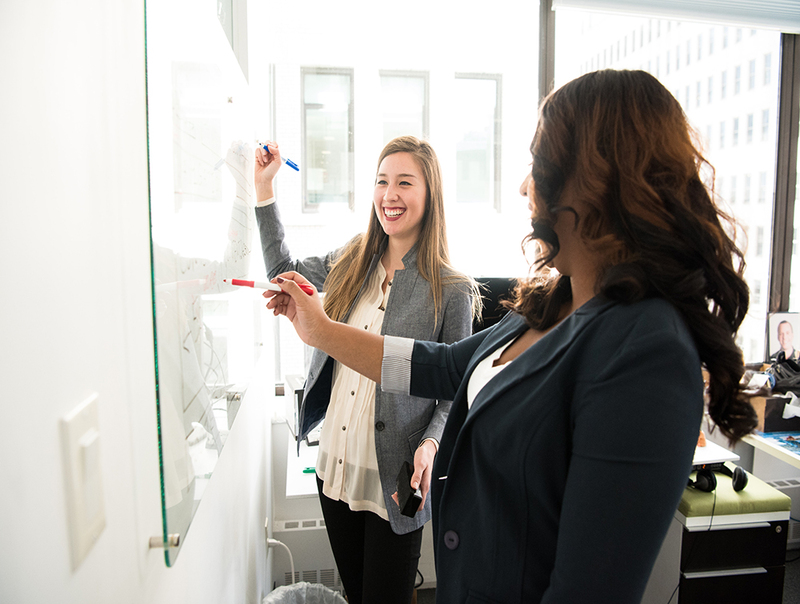 For example, if a coworker is on a loud call with a client while you are trying to complete an important report, in an agile work situation you can simply move to a quiet zone and complete your report with ease. Remote work has made desk time less important over the years, and thus smart office design is focused on pushing people towards each other rather than keeping them at their desks. How far you are from someone’s desk radically changes the likelihood of you interacting with that person. Architect Andrew Heumann in an article for Entrepreneur stated that if you are sitting more than an 80 foot (24 metres) walk away from someone you are far less likely to talk to them on a daily basis. This has a negative impact on not only your social life but also your work creatively as you are less likely to collaborate or work with people who are not in your general vicinity. Simply glancing at someone increases the likelihood you will interact with them at a later point in time as even the briefest of glimpses of someone could remind you to talk to them later, or of any tasks, you need their help with. Because this visual confirmation is so important, smart office design pushes for central areas like staircases, pivotal walkways and central corridors to be located in the centre of the building if possible. Allowing employees full visual access to people coming and going throughout their office. 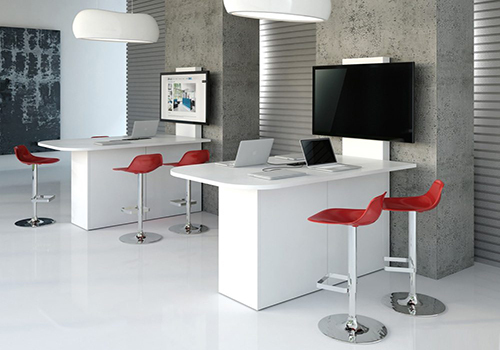 A digital or responsive office enables employees to work in a flexible manner. 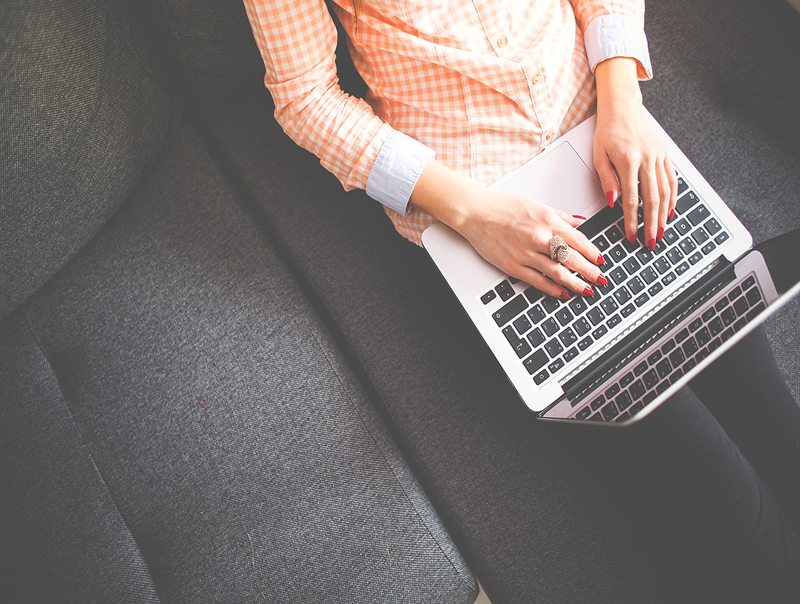 A survey carried out in 2017 states that British Office workers prioritise companies with smart office features when considering job offers. Smart offices can help to increase the comfort level felt by your employees. Self adjusting lights and blinds, the ability to control the light and heat of their own workstation, lighting systems that mimic natural daylight, furniture with tech or outlets built into them are all examples of technology that can be installed into your office, improving the comfort and day to day experience of your employees while they work.